Skin RN Aesthetics offers fillers from industry leaders Allergen (JUVEDERM) and Galderma (Restylane) that contain Hyaluronic Acid, a substance that already exist in our bodies. Our skilled practitioners will select the right filler and treatment to yield natural looking results that can last up to two years. Why Get your Injectable fillers at Skin RN? Skin RN has been doing filler injections since 2003. Recognized as a “Gold Partner” with Allergan, the makers of JUVEDERM® SkinRN has a perfect safety record. Skin RN was voted “Nashville’s Best Skin Care Center” in the Nashville Scene Readers Poll several years in a row. Experience Matters. Our practitioners have an average of 10 years of experience in the skin care industry and we treat hundreds of patients with fillers every year. You’ll never have to worry if the person holding the needle is “learning the ropes” at your expense. 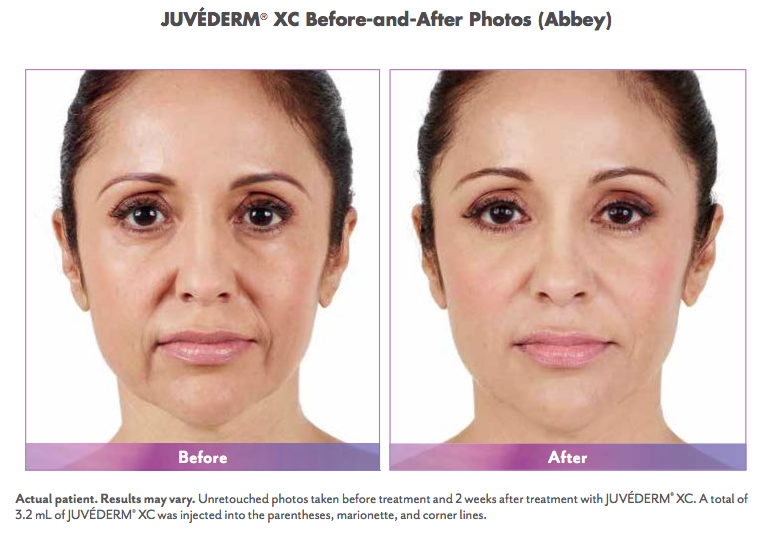 JUVÉDERM® XC and Restylane are dermal fillers using a hyaluronic acid, which is a smooth gel that can be directly injected into a line or wrinkle, causing the wrinkle to fill in and soften. They are FDA approved to treat lines and wrinkles for up to a year. Everyone’s skin ages differently and dermal fillers may be used to rejuvenate multiple problem areas. From smile lines to vertical lip lines, we can smooth away unwanted wrinkles and restore natural contours. Treatment pricing for injections that are priced by the unit or syringe is available upon consultation. 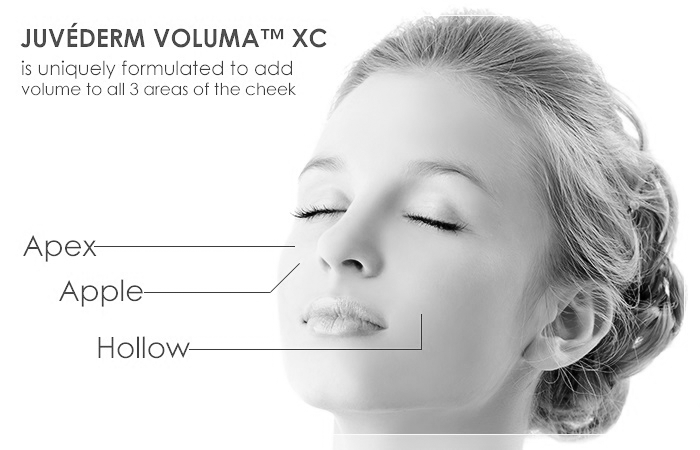 JUVÉDERM® & Restylane® dermal lifters are FDA-approved hyaluronic acid fillers that instantly add volume to the cheek area. Lifter serum is injected under the skin with a small needle. It works instantly to add volume and subtly lift the cheek area, temporarily reversing this sign of aging. The more youthful profile you can achieve from the procedure lasts up to 2 years with optimal treatment. Volbella® and Restylane® Silk are are designed for lip enhancement and provide a more natural look and feel by increasing volume with minimal downtime and pain as compared to other lip fillers. Made from hyaluronic acid, a naturally occurring substance in your skin, these fillers are thinner with better "flow"; which allows for a longer-lasting, smoother, more natural looking filler that is easier to inject with less pain, bruising and swelling. More than 80 percent of patients who’ve undergone Volbella® injections report complete satisfaction with maintaining the improvements in their appearance for up to 12 months after the initial treatment. What can lip injections do for you?